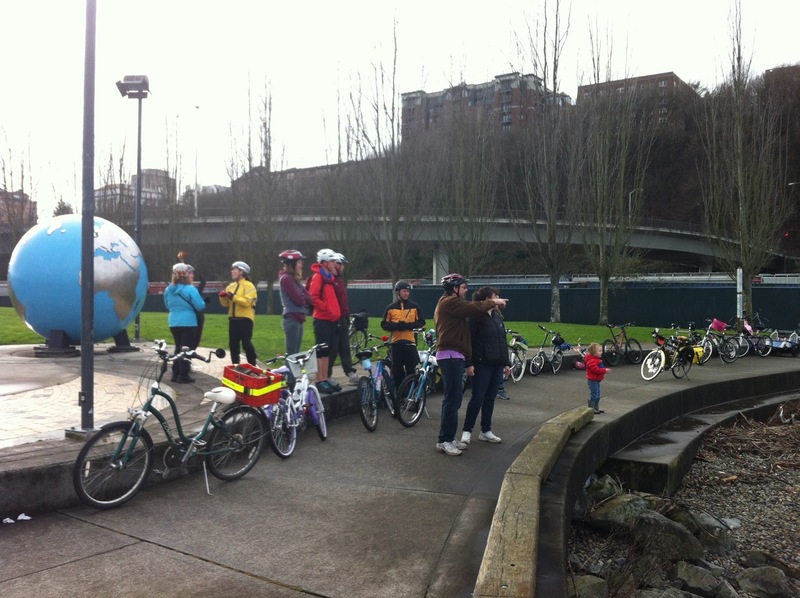 Join us for a family bike ride through downtown Tacoma on Sunday, December 20, 2015. At 11 am we will roll out from the 253 Collective Art Gallery (1901 Jefferson Ave) to Thea's Park. We'll stop to play on the shore then pedal back to the Harmon Restaurant and Brewery to warm-up with hot chocolate, courtesy of the Tacoma Wheelmen's Bicycle Club. We hope many of you will consider staying for lunch to help us plan the 2016 Kidical Mass ride calendar. Kids 10 and under eat FREE at the Harmon on Sundays with the purchase of an adult entrée, plus there's happy hour beers for the grown ups. Please plan accordingly and dress for the weather! Helmets are required for all riders.